Teaching game design with non-electronic games is a much more efficient use of the students' (and the instructor's) time that also teaches students more about game design than if they struggle with programming and art to produce electronic games. Learning game design with non-electronic games is much more effective for beginners than trying to produce electronic games. I’m here to explain why.
! It's much more practical for beginners to make non-electronic prototypes--specialized skills such as programming and digital artistry are not needed.
! Much of successful game design is iterative and incremental; this is much easier for students to understand when they can quickly make and modify playable prototypes.
! Non-electronic games force students to concentrate on gameplay, not looks/slickness/coolness that have no staying power.
! Much less time is wasted on poor ideas–and most ideas are poor ideas.
! The greater simplicity of non-electronic games forces concentration on good gameplay.
! Students cannot "hide behind the computer" (the "easy button"). It's much more practical for beginning students to make non-electronic prototypes--specialized skills such as programming and digital artistry are not needed. Less time is required for preliminary design of the non-electronic game. By their nature, non-electronic games are simpler than most video games, if only because there is no computer to control complexity. Moreover, you can reach the point of playing a paper prototype when you haven't figured out all the details, while an electronic game requires more detail before a playable prototype can be constructed. With a non-electronic game, if the designer is present he can make a ruling anytime a question arises that isn’t covered in the rules–the rules may not even be written, yet. This cannot be done with electronic games, the program must be fully functional, which means the "rules" must be complete and detailed. A usable playable prototype of a non-electronic game can be made in an hour or two. A playable electronic prototype, even a simple one, will take new game design students dozens of hours on average for relatively simple video games. Much of game design is iterative and incremental; this is much easier for students to understand when they can quickly make and modify playable prototypes. The playable prototype is what really counts; I tell students, “playtesting is Sovereign." The problem with any electronic production of a game is that it takes SO long, compared to making a non-electronic prototype, that students fail to do the most important part of design: repeated testing, and modification in light of that testing. They get a working prototype, play it a few times, and think they're done, instead of just getting started. Unfortunately, the emphasis in the video game industry, and in video game design books, is on planning a video game, in order to obtain funding to produce the prototype. This obscures the primacy of testing once you have that prototype. NO prototype is a really good game when it is first played. The refinement process mainly consists of playtesting for modifications, not for bug finding. It’s important to “lose” any feature of a game that doesn’t contribute to good gameplay. A non-electronic game designer can simply wave his hand and change a rule, or remove a feature, of a game, whereas the video game designer faces a lengthy period of software modification–and tends to be reluctant to make changes. The "natural" way to design a game used to be pursued in the video game industry, and may still be done for small games. A playable prototype is produced as soon as possible. It is played, revised, played, revised, played, revised, seemingly forever, until a stable "good game" has been produced. Sid Meier did this with Civilization. He programmed, he and (mostly) Bruce Shelley played, they decided what needed to be changed, Sid programmed, they played, and so on. More recently, Sid Meier said on slashdot, "My whole approach to making games revolves around first creating a solid prototype and then playing and improving the game over the course of the 2-3 year development cycle . . . until we think it's ready for prime time. My experience in this area helps me to know what to do and where to start. I definitely spend a lot of time playing the game before I let anyone else look at it." In a classroom we don't have the time (or the skills, usually) to create video games rapidly. But it's easy to create non-video games rapidly. Furthermore, in a classroom context, it's easy for students to "redesign" traditional games like chess, perhaps one feature at a time. Because the games are quite simple, it's easier to discuss and predict the actual result of the changes. Most important, you can actually play the changed versions and see what happens. You can "redesign" electronic games, but you can't put the redesigns into practice to see the results--it would take too long even if it was otherwise practical. Students tend to miss the point that design almost never turns out the way you intended, when you actually play the game. Non-electronic games let students start out with small steps rather than attempt a big project that may fail for many reasons other than poor design. Non-electronic games force students to concentrate on gameplay, not looks/slickness/coolness that have no staying power. Many students equate good looks with a good game. If they’re making electronic games, they’ll spend a lot of time trying to make them look good, trying to reach AAA list quality even though that’s impossible in any reasonable amount of time. With non-electronic games students quickly see that there’s no point in wasting time worrying about slick looks until the game is actually “done.” Paper game designs are, by their nature, utilitarian, though published paper games can be full of eye-candy and slick parts. Students nowadays often have only played "traditional" non-electronic games such as Monopoly and Game of Life that are, in fact, somewhere between mediocre and downright bad game designs. Discussion of traditional games opens their eyes to what good design really is, and helps them think critically about gameplay. Much less time is wasted on poor ideas–and most ideas are poor ideas. Students tend to think their first idea will be "the best game ever." And if that doesn't pan out, the next one will be "great." Experienced designers know that they should have many, many designs "in the works" at any time. And they know that to get a few really good ideas you need to generate a great many ideas altogether. Furthermore, there's no reason to expect students to come up with excellent game designs when they're starting out, any more than writers or artists or composers start out with excellent ideas or results. John Creasey, who ultimately published more than 600 novels (mostly mysteries), was rejected more than 700 times before he made a sale. Science fiction novelist (and Byte magazine computer pundit) Jerry Pournelle says you must be willing to throw away your first million words (about 10 novels) if you want to become a good novelist. Why let students waste huge amounts of time producing an electronic game that is a fundamentally bad design? When they design non-electronic games and very soon thereafter play their prototypes, they quickly discover that their "great ideas" are not very good, in practice. This helps them learn to critique their ideas at an early stage, and discard the obviously bad ones before spending a lot of time on them. In a sense, it teaches them humility, something that every designer must learn. These are especially important lessons for the "millennial" generation in the “age of instant gratification.” Some people think they’re in “The Matrix,” where a quick pill is all they need to be an expert. Starting out with electronic games obscures the nature of these illusions. The greater simplicity of non-electronic games forces concentration on good gameplay. Students tend to identify "games" with AAA list games, rather than with much simpler casual games or games of 20 years ago (e.g., Tetris, Space Invaders). These AAA games are often terrifically complex. This is the kind of game most students want to produce, though as a practical matter most of them actually won't work for companies producing AAA list games, nor in an educational setting can they make such complex games requiring dozens of man-years of professional effort. All this complexity obscures the actual game design in the games. That obscuring complexity rarely exists in non-electronic games; furthermore, the students aren't likely to design complex non-electronic games because they cannot expect the computer to take care of the details. Gameplay is a much more obvious element of non-electronic games than it is of video games. The result: the student is forced to concentrate on the most important part of the game, gameplay. For example, beginners designing electronic games tend to concentrate on story rather than gameplay, usually a big mistake. When there's no computer, they're less likely to do this, because they don't have a computer to "describe and depict the world" for them. Students cannot "hide behind the computer" (the "easy button"). Students tend to design an overly-complex electronic game and assume "the computer will take care of" problems that are, in fact, game design problems. I call this "hiding behind the computer." Unfortunately this is easy to do, because only at the end of a very long design and modification cycle will it become obvious that the computer cannot solve the problem, that it's a design problem. People make computer games complex . . . because they can, because the "computer will take care of" things that would never be possible or tolerable in a non-electronic game. Often, the resulting game is too complex despite the computer. It's much easier to learn to do this effectively with non-electronic games. With non-electronic games, there's clearly no "easy button"; when there's no computer, there's nowhere to hide. When you design something that results in a crappy electronic game prototype, you can blame it on the programming, or the art, or the sound, or something else. When you make a crappy non-electronic game prototype, you're out there on your own, it's your fault, so you are forced to figure out what you need to do to get better. Designing non-electronic games is actually more challenging, for most people. And more educational for beginners. Having described these reasons, now let's consider two important questions. What happens when you start to teach (or learn) with electronic games? If you begin with electronic games, in the end, you never actually teach or learn game design, you teach or learn game production, which is quite another thing, and you teach or learn it in an exceptionally half-baked way. If the class uses a simple game engine, even something as simple as Gamemaker, this not only severely limits what games can be made, most of the effort goes into making the prototype work, not into the design and testing/iteration phases. When you create electronic games for learning purposes, you’ll spend almost all of your time on game production elements that are not game design. How IS electronic and non-electronic game design different? Many video game experts say "game design is game design" whether electronic or not (e.g. 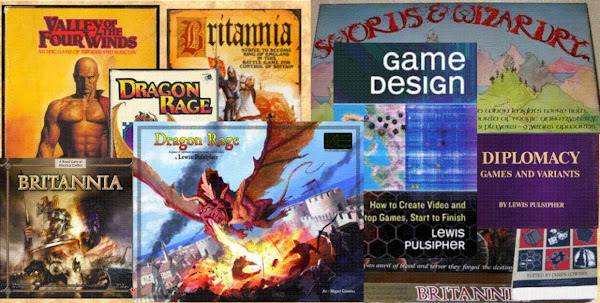 Adams and Rollings, Game Design Fundamentals). This is a topic for another article, but I can point out the most important difference. The obvious difference is scale, but this isn’t so much a design difference as a marketing difference. “Big time” video games are produced by dozens of people, cost millions of dollars, and in rare cases sell many millions of copies. “Big time” non-video games are produced by a few people with budgets in the thousands, with only a few titles such as Settlers of Catan and Risk selling as many as a million copies. More important from a design perspective, electronic games tend to be one person (or group) versus the computer; non-electronic games tend to be two or more people playing against one another. “Multi-sided” games–more than one conflicting human entity (individual or group)–are the norm in the non-electronic world, the exception in the video game world. (Except where PvP is allowed, even an MMO is not multi-sided even if there are 70 people in a raid.) We are seeing more multi-sided video games, and there is a lot to be learned from board and card games. I’ll address that another time. I've not written much here lately because I'm working on a book and contributing articles to Gamasutra and GameCareerGuide. I'm going to put some of the older ones here. This one was "Idea Origins" 9 Dec '08, http://www.gamecareerguide.com/features/662/idea_.php. The following has been revised a little from that original version. Most novice designers think that their main task is to come up with a great new idea. They think a great new idea will necessarily become a great game. Also, to them an idea must be new to be great. You can see folks like this asking in online forums for help in turning their idea into a game; they almost never find a collaborator, because ideas alone are nearly worthless. As Allie Fox says, the reality is that there is hardly ever a new idea--"nothing new under the sun"--rather there are new ways to use old ideas. Furthermore, for every person who gets an idea, there are usually dozens or hundreds of others with the same idea. Think about the category of novel writing. Almost all novels are variations of ideas used in novels published in the past. It's how the writer presents the ideas that counts, plus a dollop of luck. There is nothing notably new in Dan Brown's Da Vinci Code, but it has sold over 60 million copies. The same can be said about movies, hardly anything is new. How often do we get a really extraordinary new idea in games? In non-video gaming, we have Avalon Hill'sStalingrad/Afrika Korps/Waterloo, TSR's Dungeons and Dragons, Wizard of the Coast's Magic:the Gathering. A game as successful as Trivial Pursuit or Settlers of Catan is a simple variation on games that came before. In video games, there have been many technical advances, but few really new games. The Sims comes to mind, but it was preceded by a game called Little Computer People which Mobygames calls “the mother of The Sims”; have you ever heard of it? A new idea does not guarantee a highly successful product, and highly successful games usually have no new ideas. It doesn't make sense to try to come up with a "great idea": your chances are worse than one in a million of coming up with one. And if you did would you recognize it as a great idea? Because ideas on their own count for so little, publishers want games, not ideas. Ideas are cheap, a dime a dozen; everyone in the game industry has ideas. Recognize that your "great idea" is probably not that great, not that original, and not that interesting to others. Virtually everyone thinks their game ideas are extraordinarily good, and everyone is wrong almost all the time. This is hard for beginners to accept, partly because it’s easy to come up with a few ideas, so it’s nice to think that you only need to come up with a great idea to make a lot of money. No, there’s a lot of work in making a successful game, beginning with generating LOTS of ideas. The more ideas you have, the more likely you’ll have a few really good ones that can become really good games. As we progress in this chapter I’ll talk about how to get ideas, what to do with those ideas, how to turn those ideas into specific game ideas, and so on to reach the prototype. Everything applies equally to video games and non-electronic games. If you have no ideas, you’ll never have a game. How many ideas do you need? The more the better. Most of them will never become games, let alone good games. It’s another sub-pyramid as show in the accompanying illustration (which ought to be much wider than it is tall, but is a conventional pyramid for the sake of clarity). If all this is true, then you know you need to generate a great many ideas in order to have a few that might ultimately reach retailer shelves. Remember the conventional wisdom that upwards of 90% of the video games that are initially funded–that’s the plans that are good enough for someone to be willing to pay to have them developed–never reach the public. At some stage they’re canceled or the studio fails for other reasons. One of the more well-known boardgame designers estimates that 60% of his games will not be published. And for every idea that is good enough to try to turn into a game, there are many, many ideas that don’t make it. You want to get to a point where you have far more fruitful ideas than you can possibly turn into games even if you live to be a hundred. Ideas beget ideas, so the more you come up with, the more you get. As novelist John Steinbeck said, “Ideas are like rabbits. You get a couple and learn how to handle them, and pretty soon you have a dozen.” But this means you need a great many ideas. There are creators who write just one novel, have just one hit song, publish just one game. In a few cases they may have had just a few ideas, though more likely, they had lots of ideas but only one “panned out”. If you want to be a professional designer, who publishes game after game, you need to be working on many games at once, and that means a very high volume of ideas. People ask novelists, “where do you get your ideas?” The answer is usually, “everywhere”. But what they don’t think to say is, they get lots of ideas because they’re working at getting ideas. This is exactly the opposite of the common notion of creativity as “it just happens” or “it’s Art”. Creativity is partly inside a person, but most of it comes from working at it. For every genius like Mozart, who wrote music without thinking about it (“I write music like cows piss”) there are dozens of outstanding and great composers who work hard at getting ideas and revising those ideas. Beethoven filled notebooks with musical ideas. He wrote four different versions of the overture to his only opera, Fidelio. Yet both of these composers wrote music to make a living, not because of “art” or a high-falutin notion of “creativity”. "You can, for example, count on the fingers of both hands the number of musical compositions Mozart didn't write for money, and negotiating with Beethoven was like trying to take a steak away from a hyena." (Prof. Robert Greenberg in recorded lecture, "How to Listen to and Understand Great Music, 3rd Edition", Teaching Company) If even the extraordinary genius treated his creativity as work, most other “geniuses” as well as ordinary mortals work at creativity. In my own experience, I used to get lots of ideas for games and game articles, and much was published. Then for 20 years I decided there were more important things to do (learning computing and networking, and making a living), and those ideas stopped coming. Several years ago I decided to get back into game design rather than write computer textbooks, and now I have a vast collection of ideas and more to do than I have time for. That’s because now I work at getting ideas and developing ideas. In other words, there’s a way to push forward with ideas, rather than wait for them to come to you. Don’t waste your time! Like many other things in life, getting ideas is 10% inspiration and 90% perspiration. Hence the number two lesson in ideas, after “you need a lot”, is that “you have to work at getting them”. You have to keep part of your mind aware of your search for ideas, so that everything you see and hear and smell and touch is examined as a stimulus for game ideas. You may even sit down and say, “I’m going to come up with more ideas,” or “I’m going to think up a new game.” It won’t always happen, but often it will, and the more often you do it, the more often the ideas will come. Game ideas are often generated by association with something that isn’t obviously about games. This is why game designers benefit from a broad education, from diverse reading, from multiple interests: they have more to associate with than the narrowly-defined “gamer” (or “fanboy/fangirl”). I firmly believe that some ideas will come to me only once, and if I don’t record them, I’ll never get them again. Even if you don’t believe something similar, you’ll admit the inconvenience of having an idea, forgetting it, and having to wait until it comes to you again, perhaps years later. Trying to keep all your ideas in your head is “a fool’s errand”. The only way you can do it is if you have so few ideas that you’re most unlikely to be productive. You should carry a notebook or other recording device with you almost everywhere, and when you get an idea, write it down (or record it by voice). I carry an HP PDA (personal digital assistant) that has one-button voice recording (not all PDAs do). I can record while driving because all I need is that single button on the side of the device. I can press the button, talk, and when I let it go it stops recording–a reasonably safe way to record things while driving. My cell phone can record, but this requires several steps, and I won’t divert my attention like that while driving. Moreover, my PDA goes into a cradle that automatically transfers my voice notes to my desktop at home and my desktop at work, so soon I have three copies. It’s easy to type the idea into my main idea database as I listen to my voice notes. Students think I’m strange to occasionally talk to my PDA in the middle of class, but they soon realize the purpose. I call it “my memory”. Don’t leave an idea as a voice file. Writing down ideas forces you to actually figure out and understand what you mean; many novice designers have "ideas" that are only in their head, and when they're asked to articulate them, they find out that there's a lot they haven't figured out (or have forgotten). Finally, I have a light laptop/tablet computer, and an even lighter, 700-hours on 3 AA batteries, solid-state storage, specialized word processor (an Alphasmart Neo) for note-taking when at game meetings. (You can’t type on a PDA, not with speed.) I don’t intend to lose any ideas. I ought to have a recorder (such as my Olympus voice recorder) by my bedside for middle-of-the-night ideas, but I don’t want to wake my wife by talking, so I have a clipboard. And I’ve been known to get up in the middle of the night to write idea details into my computer. In the 1970s and 80s the "data store" for ideas was notebooks and pieces of paper, sometimes typed (with carbon copies, if you were smart, as backups). In the 21st century the data store may still be notebooks, but preferably it will be electronic, whether word processing, or a specialist note program such as Info Select or OneNote, or voice messages to yourself, but it's got to be something that can easily be searched electronically and copied (backed up). Computers are cheap and plentiful, and you should use some kind of free text database. A free text database has no fields such as you define in Microsoft Access or Oracle or (in older days) dBase. You type data in however you like, and the search facility of the free text database does the rest. Any word processor can be used this way, but specialized programs will be faster. Some designers prefer to use a spreadsheet program extensively, but I prefer the superior organization and searchability of a specialized program. I have used one of the first free text database programs, called Info Select (www.miclog.com), since the 1980s. It is my “desert isle” program, the one I’d use if I could only have one piece of software. It is fast, easily allows subcategories, and offers many ways to search. (It can also be word processor, email program, Web browser, etc.) It not only allows me to organize information, it allows a full text search in the blink of an eye (because all the stored information is loaded into memory). Unfortunately it is pretty expensive. Microsoft One-Note is another program of this type, somewhat expensive unless you’re properly associated with a school that subscribes to Microsoft Developers Network Academic Alliance (which makes it free). A very simple free program of this type is Memento, the equivalent of post-it notes, and there are many other freeware programs that can serve. Or you can use a word processor or spreadsheet, and organize your ideas by file. Most computer operating systems allow you to search through files for particular keywords, or the word processor itself may do this. The trick in any of these programs is to have those keywords in the notes you’ve typed. If you have an idea for a first person shooter, be sure “FPS” is there with the details of your idea. If you have an idea for a card game, be sure “card game” is in the file. Otherwise, when you try to find ideas you won’t find all that you should. You might think this would take a lot of memory; no, an entire novel is roughly one megabyte of text, so as long as you don't store a LOT of graphics, it won't put much of a dent in your RAM, let alone your disk space. If you don’t work well from a computer screen, you can print out your ideas and put them in a binder using sheet protectors. Or just have them in a pile. You definitely want to periodically look through your old ideas, as this is one of the best ways to get new ideas. Storing drawings and pictures results in slower searches, because graphics take so much more space than words. Often a program will only search the name of the file, so you need to use long descriptive names. You can use a photo-organizing program such as Picasa (free from Google), or use a database program that handles graphics well. If you speak to groups, as a teacher or as a proponent of games, be sure to record yourself. An MP3 player with voice recording, such as the Sansa e250, makes this easy to do, and with free software such as Audacity you can turn your talk into a podcast. In any case, BACK IT UP. All your work will do you no good if your hard drive crashes or you lose a notebook that is your only copy. If ideas are worth generating, they’re worth backing up. You can get along without using computers to record your ideas, as we all did 35 years ago, but you’ll save a lot of time in the long run by using computers. I play about 30 of my game designs in the course of a year, and there are many more than that in some stage of work. Some organization helps keep everything straight. When you have video games as your ultimate goal, the purpose of the ideas you generate is to contribute to marketing documents, and later to the large game design document that fully describes the game. You will be writing a plan for your game, so the more you write and the better you write it, the easier your future tasks will be. For non-electronic games where the immediate goal is a playable prototype, less formal notes are adequate. As long as you can understand what you mean, you can tell someone how to play your prototype when you make it. Keep in mind, six months (or six days!) after you write a terse note, even you may not understand what you meant, so try to be clear. At some point for a non-electronic game, often after playing a prototype a few times solitaire, I try to write organized but rough rules, as opposed to notes. I can color code the notes to show me which ones will “translate” into directly into rules sections, as opposed to others that are comments or more ideas. For a video game, the game design document describing the mechanics of the game is a more extensive version of a rules set. I write the full documents in a word processor, WordPerfect. Much of the preliminary writing is done in Info Select, then transferred. But there are many, many revisions to a set of rules or a game design document, and those are done in WordPerfect, including revision dates. I am not fanatical about it, but I usually save each significant revision as a new file, so in the course of designing and developing a game I might end up with 20 versions. Microsoft Word is a more commonly used word processor; Open Office is a free substitute for Word. WordPerfect makes it easy to make usable cards for games. I print on business card stock using the WP template, then put the cards in protectors for collectible cards (which can be had pretty cheaply, on sale, at Dave and Adam's Card World on the Internet, or at conventions sometimes). The protectors make the cards easy to shuffle, the card stock gives them sufficient stiffness. These are usually text-only cards; I've seen many prototypes with beautiful graphical cards, but I am not interested in spending the time needed to do this, preferring to concentrate on gameplay. Moreover, if I did spend a lot of time to make a playtest prototype, I'd be reluctant to change it, and that is truly a Bad Thing. Change is the norm when designing and developing games.